Brett Painter practices primarily in labor and employment law, including litigating and advising clients in the areas of discrimination, harassment, retaliation, unlawful discharge, layoffs, unfair labor practices, employment agreements, noncompetition agreements, union issues, and wage and hour laws. Mr. Painter also has a significant commercial litigation practice, which includes prosecuting and defending claims for breach of express and implied contracts, defamation, misappropriation of trade secrets, negligence, and a variety of other business related torts. Mr. Painter represents clients in a wide variety of industries, from Fortune 500 companies to small, privately held corporations. He strives to provide cost effective representation that reflects a practical approach to solving legal problems. Mr. Painter has extensive experience litigating cases across the United States, including jury trials, bench trials, arbitrations, mediations, and hearings. He frequently represents clients in connection with administrative proceedings before the Equal Employment Opportunity Commission, the Colorado Civil Rights Division, the Department of Labor Wage and Hour Division, and the National Labor Relations Board. Mr. Painter is admitted in Colorado state and federal courts, and has been admitted in other states on a case by case basis. 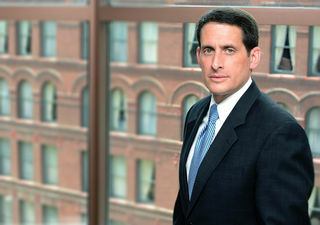 From 2008 through 2010, he served as the co-chair of the Labor & Employment Law Section of the Colorado Bar Association. Additionally, he was a member of the Workplace Law Advisory Board at the University of Denver Sturm College of Law from 2012 to 2014. He was named a 2009-2018 Chambers USA Leader in Their Field in Labor & Employment and a 2012 Client Service All-Star by BTI Consulting. He has been selected for inclusion in Colorado Super Lawyers since 2012. He was also named in the 2013-2019 editions of The Best Lawyers in America® for Employment Law and has earned an AV Preeminent® Peer Review RatingTM from Martindale-Hubbell®. He was selected by 5280 magazine from 2016-2019 as a Top Lawyer for Labor/Employment: Defense. Mr. Painter currently serves as Chairman of the Board of Directors & President of the Jacob Family Services, Inc.